The world has been ravaged by a series of climatic disasters and society is on the verge of total breakdown. Now the aliens have returned, with a full invasion force bent on nothing less than the total annihilation of mankind, starting by trying to rip the heart out of Earth's most iconic city. In New York, terrifying alien invaders stalk the streets and a nightmare plague strikes down the city's myriad inhabitants with brutal epidemic speed. The city's systems are in chaos, its streets and skyline are smashed and in flaming ruin. This is New York City like you've never seen it before. Neither paramilitary law enforcement nor the might of the US military machine can stand against the invaders, and all who choose not to flee are dead men walking. Just to survive in this maelstrom of death will require technology beyond anything any modern soldier has ever seen. One man will inherit that means to survive. One supersoldier, wielding the combat enhancement technology of the future with Nanosuit 2, will make the last stand to save humanity from destruction in the urban jungle that is New York City. Features: - New York, New York: Crysis set the visual benchmark for PC games that still stands today. 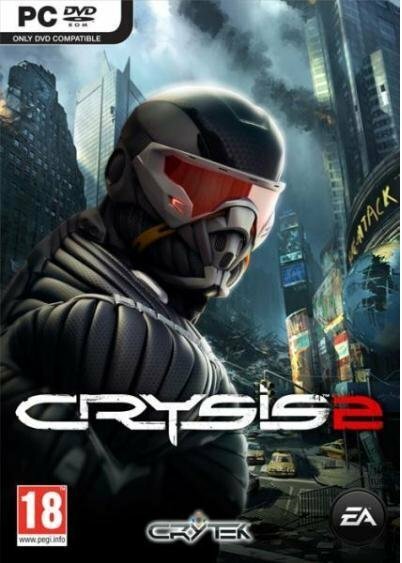 Crysis 2 will redefine the benchmark on all platforms, shifting attention to the rich urban jungle of New York City. - Amazing Aliens & AI: Challenging best-in-class AI with unique group coordination and group behaviour systems give realistic responses to your actions.